First and foremost, Driven is in fact such a bad movie that even Stallone himself regretted doing it. It is a huge thing to say as he had made some pretty awful films up to that point, but with this one, he himself wrote it, just as he did Oscar-winning Rocky. Driven was not doomed for failure, though. In fact, if you watch the first teaser of it, it doesn't seem that bad at all. That trailer definitely sells it. It's got the pumping big beat rock music, the girls, the cars, the action and the tag lines. Perhaps there are a few too many crashes in it, but that's what brings general audiences in, anyone can agree on that. The movie revolves around three drivers in the CART series with an added love triangle. Rookie driver takes on the defending champion, but doesn't seem to be able to handle the pressure, so a veteran is called in to help him by becoming his team mate. There is some bad blood going on between the drivers, including swapping a girlfriend back and forth, but eventually the rookie is able to win the season. That's about it as far as the story goes. The film, on the other hand, is filled with laughable action sequences, horrendous CGI, dialogues that will make you cringe and a not very interesting plot - at least if you are under 20, but more on that later. There are a couple of things Driven needs a much-deserved pat on the back, though. First of all, it's some of the small details. The movie operates with real-life racing shots, filmed at actual CART races among actual people, carrying out scenes in the pitlane literally just a few minutes before the races went green. That's something that money can't buy and was achingly missing from such great films as Rush - for the obvious reasons. Despite overblown plot devices and a dull narrative, there is a certain authenticity to the movie that is hard to create. There is another kind of authenticity to Driven, too. Some of the plot elements taken from real-life Formula 1 happenings. Yes, if you were unaware of it, Driven was actually meant to be a movie about Formula 1. That sort of explains the V10 sounds of the cars you just saw above. 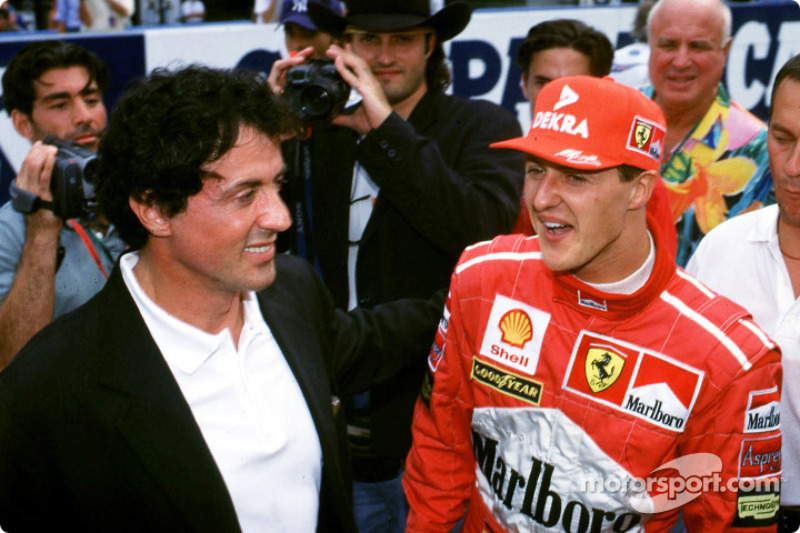 If you watched F1 in the late 90s, you might remember Stallone showing up at a couple of races, sourcing material for his script. Not surprisingly, though, there was so much secrecy surrounding the F1 teams that it would have been impossible to work with or around them, so Stallone just went back to the US for the next best thing. Many of the story elements and characters were taken from the world of Formula 1, though. The Target Ganassi team is most likely a stand-in for then-F1 champion Williams with its owner being stuck in the wheelchair, the same way as Frank Williams. The arch enemy German driver is a direct copy of Michael Schumacher and the protagonist rookie is seemingly a mixture of Heinz-Harald Frentzen, Jacques Villeneuve, Mark Blundell and Mika Hakkinen. The love triangle is similarly taken from the world of F1, as Michael Schumacher's wife, Corinna, used to date Frentzen at some point, so there was genuine tension between the drivers. Also, you have the supporting South American character being involved in a horrendous (but stupendously cartoonish) crash midway through the film, who is an obvious reference to Ayrton Senna with his striking resemblance to the legend, fitted with their nearly identical helmet design. Finally, Stallone's character is quite reminiscent of a younger Mario Andretti with their shared Italian-American heritage, the similar lakeside house they live in and the odd vintage Indy car restoration Stallone occupying himself in the beginning the movie. You can see a similar narrative device in the IMAX documentary on CART, Super Speedway, loosely written around the Andrettis' racing career. There is in fact a lot going on in the script that's worth look out for if you are a racing enthusiast, but the best reason it's the time it's set in. The years 2000 when Driven was filmed and 2001 when it arrived in the cinemas were the final years of the peak of success for CART, which quickly started to decline after the movie, only to collapse and reform for a couple more years. CART at the time was in fact rivaling F1 and drivers kept switching between the two. Nigel Mansell, Jacques Villeneuve, Alex Zanardi, Juan-Pablo Montoya, Sebastian Bourdais were the people of a decade who raced in both series and became champions in either or both of them. Today, it would be next to revolting to think that any European country would build another permanent racing venue with the primary intention of hosting IndyCar races. But that's what happened then. 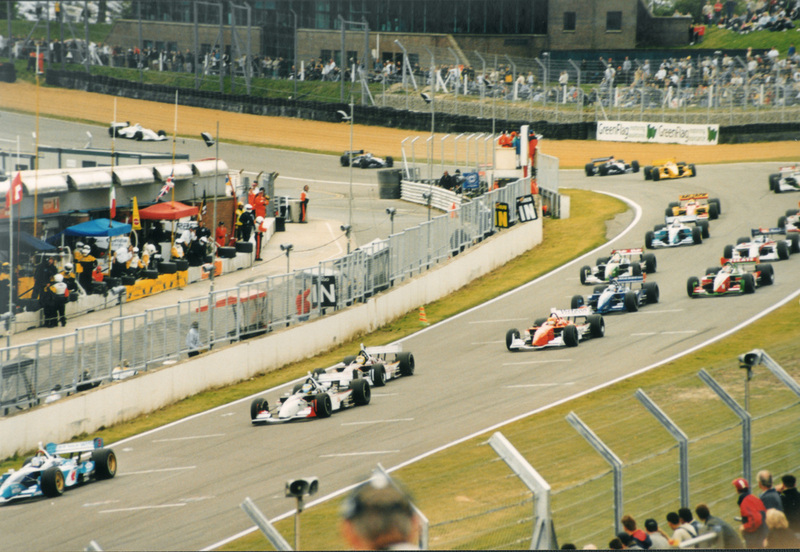 Not one, but two oval tracks were built in Europe, one being Rockingham in the UK and the Lausitzring in Germany - to attract to ultra-fast CART series the same year Driven went into the movie theatres. These tracks haven't been used as oval tracks since (apart from some really minor events), but serve primarily as one of the venues of their countries' respective touring car series, but CART and Champ Car went to Brands Hatch, Zolder and the Assen TT circuit as well in later years - seriously deep into F1 territory. These things have to be said over and over again, because as rumours go, IndyCar is not in the best shape, hasn't recovered yet from the breakup and reunification yet. In fact some people started to question it's existence. But there was a time not too long ago, when American open-wheel racing was almost as big as the primary and default World Championship and there was a terrible movie made at the point just as it started to decline. If anyone needed a reason why they should watch the worst movie on racing, these are the things that make it a periodical document.